In 2006, we expanded our business model and expertise into the biofuels/bioenergy sector. We were approached by an alternative energy team comprised of Virginia Tech and Conservation Management Institute who were working with Virginia’s Piedmont Geriatric Hospital (PGH) staff in an effort to convert their biomass boiler feedstock to native warm season grasses (NWSG). We were asked to join the team as a result of our reputation and expertise in establishing, managing and harvesting NWSG. In 2011, after 5 years of experimentation and development, we were able to successfully burn NWSG for 44 days straight at a daily savings of $996.67 over the No. 2 fuel oil PGH was using at the time. From 2011-2015, PGH gradually increased its NWSG use to 131 days/annually resulting in a savings of $1,148.81/day. This program was so successful PGH received funding for and installed a new biomass boiler in 2015 and has been burning NWSG year-round as their main fuels source since that time. We are currently working with a number of private and public institutions on projects to convert their heating/energy needs to biomass boilers slated to burn NWSG. Their motivation has been both environmentally and economically driven. Movement forward on these projects has hinged on our ability to provide them with long-term fixed cost agreements to establish, manage, harvest, process and deliver their biomass needs. Since 2010, FDCE has been a biofuels supply chain logistics provider for Abengoa, Dupont, Poet, Genera and Piedmont Geriatric Hospital. We have harvested over 30,000 acres of corn stover, wheat straw and native warm season grasses. 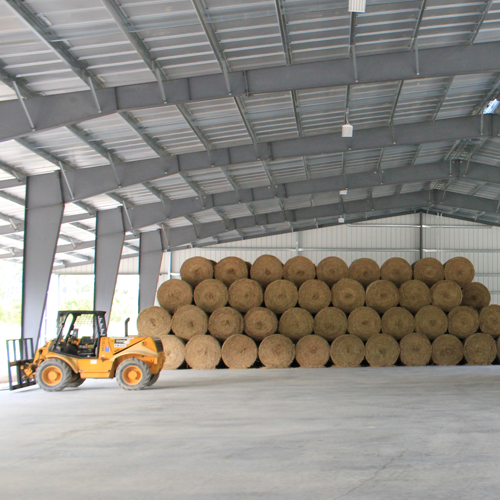 We have been the lead recipient of 2 major US Dept of Energy (DOE) supply chain logistics grants and a major contributor on a third DOE grant focusing on landscape sustainability of cellulosic biofuel projects. FDCE offers full-service, turn key solutions for utility scale solar projects. Solar energy has seen a massive increase in recent years as the demand for renewable energy has risen. Larger, utility-scale projects, however, are often met with resistance. Though they provide clean, sustainable energy, utility-scale solar projects have been known to change hydrologic patterns, reduce pollinator presence, eliminate wildlife habitats, and more. Pollinator friendly utility-scale solar projects offer a win-win solution that benefits both energy and environmental needs. Over half of the US’s primary crops rely on pollination. This is equal to roughly $14.6 billion in annual agricultural production. By establishing pollinator-friendly vegetation within solar fields, pollinators are able to flourish, improving the health of surrounding agriculture. 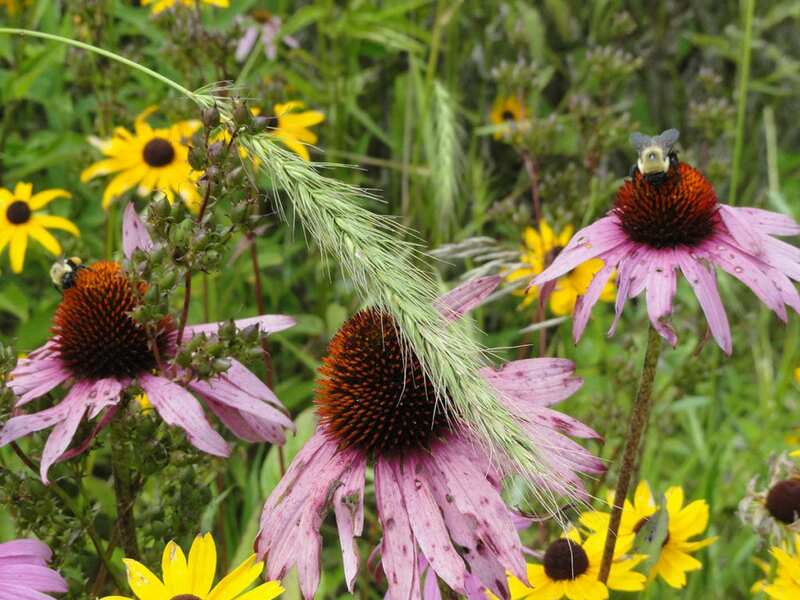 Additionally, pollinator friendly solar projects protect soil, significantly reducing stormwater runoff and erosion compared to sites using gravel, turf-grass, and non-native plants. Pollinator habitats are not only good for the environment, but they improve the performance of your solar facility by creating a cooler microclimate around the panels. Since they require less maintenance than alternative covers, they lower facility costs and save money over time. The importance of pollinators has received significant exposure in the past decade. The same is true for renewable energy. Communities aren’t just open to a cleaner, more environmentally-friendly solution. They’re expecting it. Pollinator friendly utility solar projects are the perfect solution. 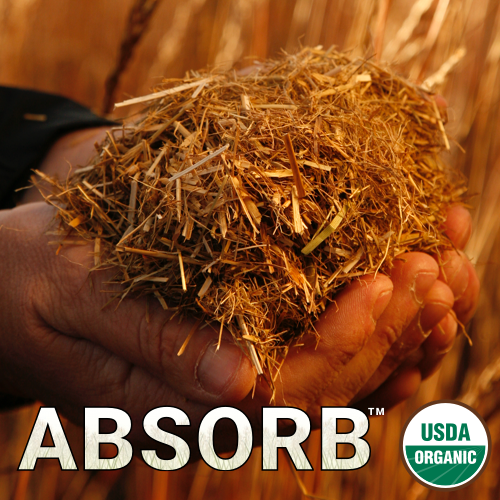 ABSORB is made from certified organic switchgrass grown in the Shenandoah Valley and is 100% renewable perennial vegetation. Switchgrass controls erosion and builds soil tilth. 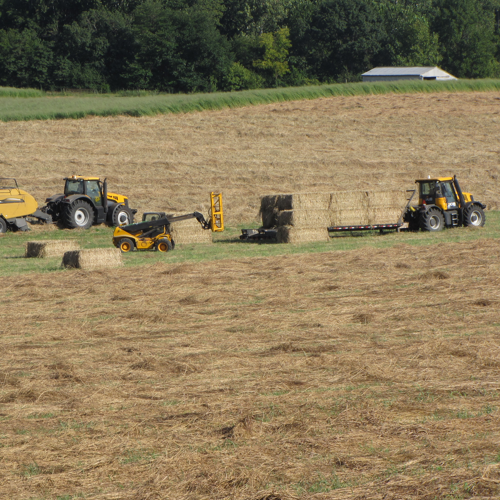 We cut the switchgrass into 1-inch pieces which makes it highly absorbent and easy to manage. Both USDA and VA Tech have tested ABSORB and concluded it is a highly effective alternative to current bedding options. Additionally, all major poultry integrators have officially approved ABSORB for bedding in their growers’ facilities.